For the record, I know nothing about tennis trading. In order to add value to you, my dear reader, I thought I’d find out what this tennis trading malarkey Is all about. I requested a trial from Tradeshark. Without question, Paul from Tradeshark immediately gave me unprecedented access to his members’ area for me to take a look, and to learn what he was doing. In fact in later correspondence, It appears that Paul has been making a full time living from tennis trading since 2010. Anyone who can do that is someone I want to learn from, as Betfair trading is tricky to say the least. When I first looked at the members’ area, I was Impressed by how much Information was contained within. Firstly there’s an Introduction Section. I recommend reading this as there’s plenty of useful Information, which makes a foundation for the later teachings. Here are the subjects. As you can see, there’s a wealth of Information here alone. In fact what I like is the fact that nothing has been left to chance, absolutely every angle has been covered. It’s very clear that Paul has taken a lot of care in producing his service. Paul and tradeshark are really keen on not jumping in, without knowing what you’re doing. Like me, he’s a keen advocate of learning with small stakes, and only Increasing them once you’re comfortable. If you’re like me and want to get earning quickly, please resist the temptation. It will save you money in the long run. The members’ area contains a large video section. At the time of writing, there are 22 different videos, averaging around 20 minutes each, with a handful of each trading method being used In real trades. As you can expect from a tennis trading pro, Paul makes It look Incredibly easy. 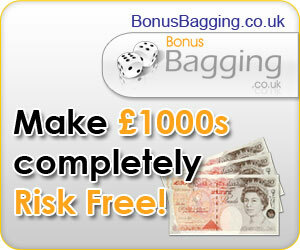 Many of the videos, show profits of over £100 for just 20 minutes or so. Before you ask, I asked Paul how many trades he makes daily, and he said, usually around 10. I’ve no doubt that he’s making a lovely Income from trading tennis. I feel that adding videos really gives a service credibility, as seeing the methodology in practice, whilst producing profits, gives the user confidence. Tradeshark offer a number of different methods which I like. Most people will find a method that suits their style of betting. Let’s take a look. That’s 9 different trading strategies for you to have a go at. I started with the Back The Favourite strategy as It made the most sense to me (not being a tennis supremo). I used small trades as recommended and made a decent profit for the stakes I was using. Paul sends out around 3 emails daily and these are really Informative. There’s a link to an Excel file highlighting the matches that day that Paul likes the look of. Each match has Instructions on how to trade the match along with Pauls thoughts. New members’ get 5 days access Included, but you can extend this for just £20 a month, which Is an absolute bargain for the work that’s gone into it. In fact It saves you looking for your own selections, and that’s money and time well spent In my book. I like this service A LOT! It’s honest, effective and complete. Emails to Tradeshark are answered quickly (usually within the hour) and aside from email, Paul also has a Skype Chatroom that you can use to assist your learning. There are downloadable stats spreadsheets too which can form the basis of your own selections. I’ve got to be honest…. I don’t know how Paul can provide so much value for the small fee he charges. For the price of a cheap meal for 2, you get access to all of the above. It’s amazing value, It really Is. I highly recommend this, you’ll love it! “I started my journey on trading alone and Tradeshark gave me the lights I needed to succeed in tennis trading! Besides all the help available on the website Paul is always available to help. “As a complete tennis trading novice the guide was a great help in getting started. The blog always has useful tips and I now subscribe to the tips service. This is showing a regular profit and I will be be increasing my staking amounts to maximise the benefits. All in all a great service.” – Alan H.